You will need to retrieve the config password for HQMS before completing this task. The password is stored in the HQMS database within the [TPQ_SYS_Configuration] Table in the [configpassword] column. If you are unsure how to retrieve this password, please contact your database administrator. Your HQMS login must be a member of the administrator group to access the right-click menu on the HQMS home page. 1. Log in to HQMS. 2. Right click on the HQMS home page. 3. 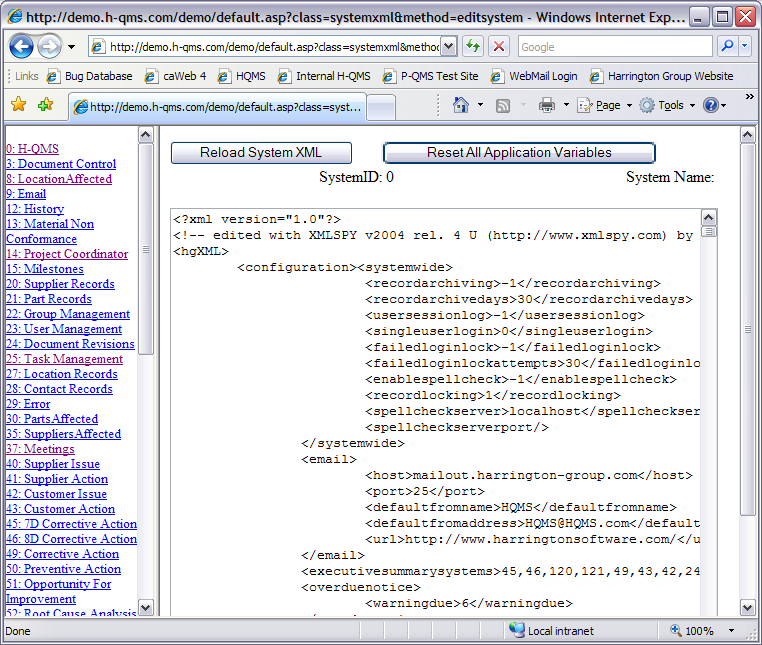 Click on View System XML to open the XML viewer window. 4. 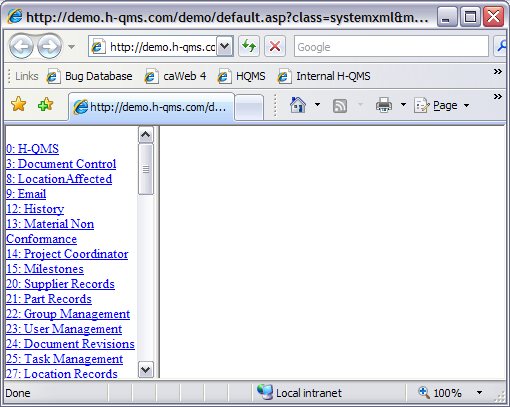 Click on 0: H-QMS located at the top of the list of systems in the left-hand frame. 5. 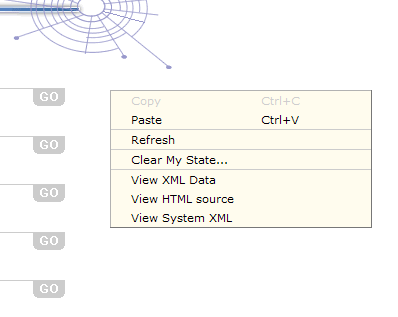 Click on Reload System XML, enter the config password, and click OK.
6. Click on Reset All Application Variables, enter the config password, and click OK.
7. Close the XML viewer window.